A very close family friend, Anna Rachelle, sent me an email last week while on vacation in Florida. 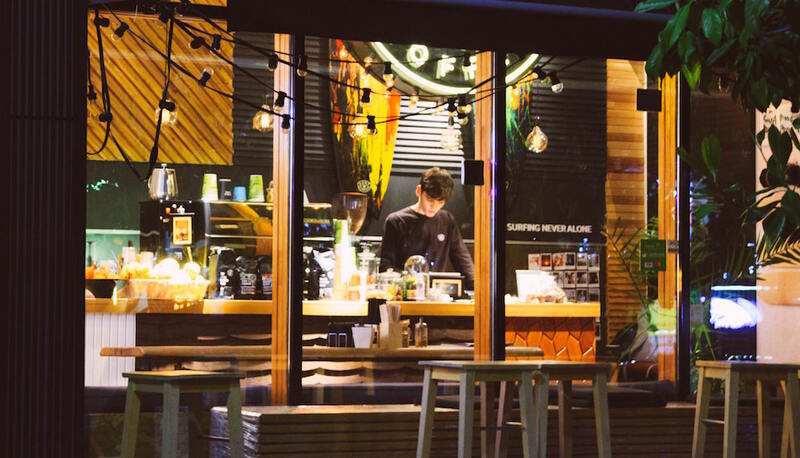 “Walked into a lovely little cafe,sat down and exclaimed to my husband. ‘Hey this mug is was made by the Deneens.’ Sure nuf… met Trasi and she had talked to you even previouly in the week,” wrote Anna. 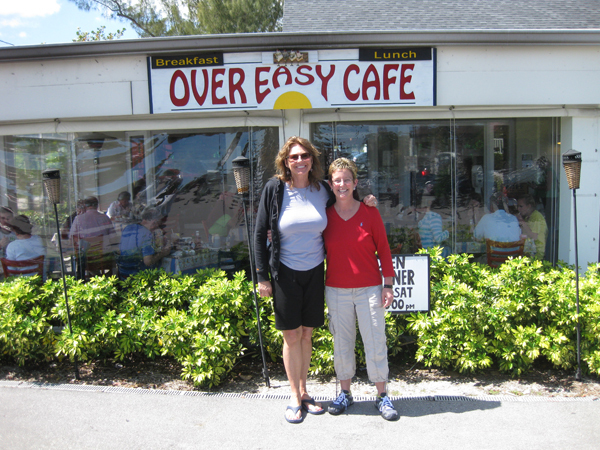 Trasi, who is the owner of the Over Easy Cafe in Sanibel, FL has been using our custom handmade mugs to serve coffee and tea to her guests since 2007, and before that we made mugs for Amy Horton the previous owner. Here is a picture that Anna’s husband snapped of Anna and Trasi in front of the cafe… In the busy months there can be a line of people waiting to have a delicious breakfast or lunch. It is always fun to talk to Trasi because she love trying out new colors for the handmade mugs that we make for her – We have 169 different glazes to choose from!?! 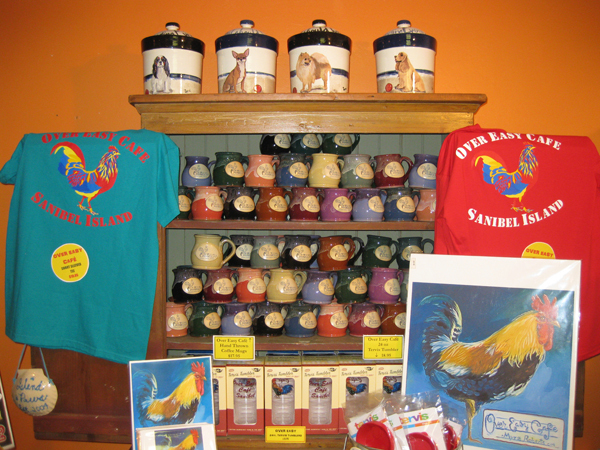 Here is a picture of her mug display – How many different colors do you count? Making restaurant proof mugs is great – Our mugs are so durable they can handle the abuse of busing, and the commercial dishwasher… “I swear by your mugs, I sell a ton of them – They are durable, we are tough on them and serve over 600 people per day,” Trasi once told me. Being able to feed 600 people in a single day it’s no wonder I get emails like this. “It’s been kinda crazy here I’ve lost track. 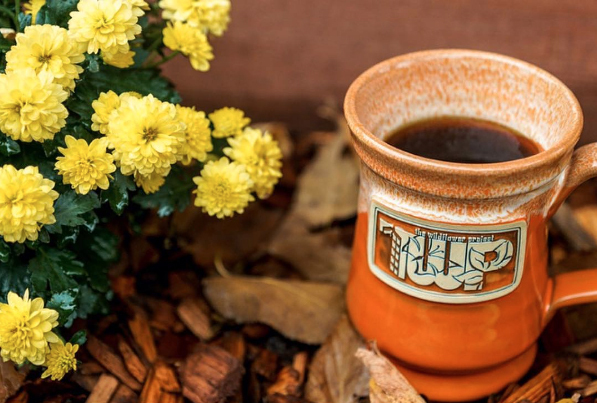 I’m about out of mugs – So I need to put in another order in.” That is never a problem since our dedicated staff of 24 loves making custom stoneware mugs, especially for our friend Trasi! 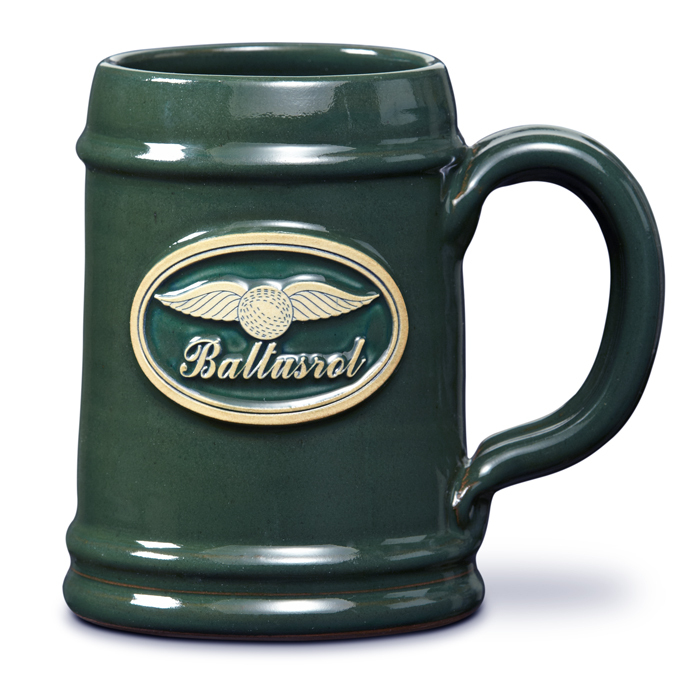 If you own a restaurant, or have a favorite restaurant, that would love our mugs let us know!